TREESSE PROGETTI thanks to many years of experience can provide you software capable of bringing your company to a new digital era. - SMART PRODUCTION: new production technologies designed to enhance the collaboration between man and machines and the communication among different system. -SMART SERVICES: all the IT and technical infrastructures that enable the systems to be integrated in order to implement after-sales service and remote assistance. -SMART ENERGY: more focus on energy consumption, creating more performing systems and reducing energy waste. 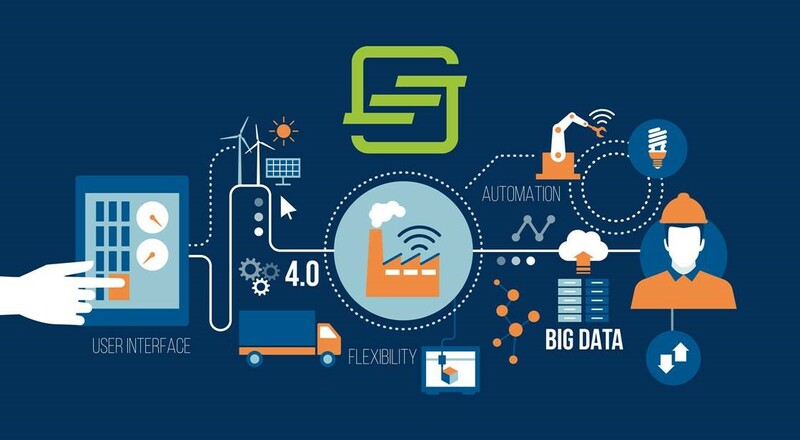 From self learning robots to the adoption of advanced sensors to enhance monitoring and control capabilities throughout the chain, thanks to increasingly powerful and secure connections. A strong push also comes from Italian Government: for Industry 4.0 between 2017 and 2020 incentives will be provided to support Italian companies in the process of digitalisation and robotization of production systems and are available numerous public resources in order to "active innovative investiments with tax incentives" for the acquisition of machinery, systems and software, based on enabling technologies..
Our goal is to support you in the Fourth Industrial Revolution through the supply and installation of dedicated and personalized software. Look to the future with TREESSE PROGETTI!